Do Great Leaders Demonstrate and Live With Integrity? People choose to follow those that they feel they can believe. Few things will destroy the credibility of a leader as quickly as broken promises or outright lies. Great Leaders demonstrate integrity by honoring the commitments that they have made and by telling the truth; always. If the circumstances have changed to the point where a promise can no longer be kept, while the poor leader says “Things change, too bad”, the Great Leader sits down with the recipient of the promise and explains how the situation has changed and why the promise cannot be kept; then, discusses options that might be available to offer a new opportunity or promise that would be an acceptable substitute for the one that has been withdrawn. People look for examples to follow. I once heard of a sales organization where the leader openly proclaimed that the sales reps’ only value was in their sales numbers today. A group of sales reps took that proclamation at face value and “did whatever it took” to become top producers. They were exalted and glorified by the leader. Neither the leader nor anyone else wanted to know how they were doing it; so, it should not have come as a surprise when investigations initiated by consumer complaints found that these reps obtained their high sales numbers through the use of fraudulent and deceptive sales presentations. Poor leaders do not believe that the rules apply to them and that message trickles down through the ranks. Great Leaders know that the rules apply equally to themselves and to their followers. Great Leaders exemplify the behaviors that they want to see in their followers. People want to know if “the little things” are important. The reality is that most people know and understand what the “big rules” are and why they should be followed. They know and understand that it is not OK to kill someone, to rob a bank, to steal a car. But, when they know that their leader is “padding the expense report”, taking tax deductions that are not legitimate, having a secretary tell a caller that “he’s not in right now” when in fact he is sitting right there, it should not be surprising when the followers believe that it is OK to unethically discredit a competitor, cheat on their taxes, and lie to a customer. The Great Leader knows and follows the rules, big and small. The Great Leader knows how important it is to demonstrate adherence to rules, even the ones that seem petty. There is an old adage that states, “Show me the followers and I’ll show you the leader; show me the leader and I’ll show you the followers”. This is so true when it comes to the quality of integrity. 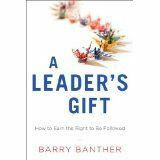 Poor leaders cut corners, do what is expedient, bend the truth, and break their promises; and, the members of the teams that they have been given the privilege of leading will, in most cases, do the same. Great Leaders will live their lives with integrity at the forefront, demonstrating what it looks like and how good it feels to do so. In nearly every case, team members will strive to live up to that example. The team and its leader will be the ultimate winners in the game of life. Click “Comment” to share how a leader that you have followed has influenced your life. I’ve often stated that Great Leaders are all around us. On this Memorial Day Weekend, I would like to salute some of those “unsung heroes”, Great Leaders who had an impact on my life. As the Scoutmaster at my first Boy Scout Summer Camp, Irv Satzke personified the Great Leader who genuinely cared about those he had been given the privilege of leading. He hiked with us; camped with us; ate with us; joked with us. Above all else, he cared about us and wanted ensure that we had a good time and camp and derived all of the growth opportunities that summer camp could provide to us. That first year at summer camp, I decided to earn the Canoeing Merit Badge. Frankly, I don’t know why I chose it. I’d never been in a canoe in my life. It just sounded fun, so I signed up for it. Late in the week, we had to demonstrate our ability to survive outside of the canoe. First, we had to jump into the water, fully clothed, and convert our pants into a flotation device by tying knots in the pant legs, swinging them over our heads to fill them with air and then floating on top of the inflated pants while we kicked from one end of the pool to the other. Then, we had to “swamp” the canoe, tip it until it filled with water, and after getting out of the canoe, we had to lift it above our heads and empty it so that it would, once again, float on top of the water rather than under the surface. Finally, we had to get ourselves back into the canoe and paddle it the length of the pool. The merit badge class had a number of people in it and each of us had to wait our turn. Mine finally came at the end of the day as the sun was setting. Anyone who has been to the Mogollon Rim country of Arizona will know what I’m about to describe. Those who have not … well, I’ll just have to ask that you accept it on faith. The sun does not really set at Camp Geronimo. It disappears … suddenly. Daylight turns into pitch darkness and the temperature drops from comfortably warm (even uncomfortably warm) to downright cold in a flash. By the time I completed the swamping of the canoe, swimming and paddling the length of the pool, it was cold and dark; and, I was wet, cold, and hungry. Even though the camp rules said you always had to travel with a buddy, I was the only one in my troop who had taken canoeing, so I knew I would have to hike back to our campsite (literally, a long uphill climb) by myself. As I approached the gate that let us out of the pool enclosure, I saw Mr. Satzke waiting for me. He wrapped his jacket around me and walked me back to camp. Along the way, I remember he congratulated me for sticking with the class until I’d completed the requirements; for not complaining about being cold. He made me feel like I’d accomplished far more than just completing a couple of requirements for a merit badge. He told me that my perseverance and determination showed that I was destined for great things. Irv Satzke was and always will be, in my opinion, a Great Leader … he cared about not only me, but about every Scout in our troop. He never sought praise or recognition for what he did and I don’t believe for a moment that I was the only Scout for which he performed this type of small acts of kindness. For the Great Leader, it is enough to know that the follower has been helped to see and reach his/her full potential. How Do You Recognize and Compliment Extroverted Personalities? Two weeks ago, I shared with you my embarrassing experience of finding out that I did not know as much about motivating people as I thought I did. Last week, we explored the types of recognition and compliments that work well with introverted personalities. So, now, the question is, how do you compliment and recognize the more outgoing extroverts among us? Entertainer personalities love being the center of attention. They crave public recognition, so give it to them. Entertainers are especially pleased by recognition that is tangible; things that they can show to others. One gentleman that I worked with arranged his office so that his desk was in a corner, set at an angle to the two walls behind him. On the wall to his left were plaques for “Top Salesman”, “Top Supervisor”, “Sales Manager of the Year”. To his right, the wall held photos of him with community leaders, celebrities, politicians. No matter where you sat in his office, you saw the honors and recognitions that he had been given. Commander personalities may be the most difficult persons to compliment and recognize because they are so driven to get things done, to check items off of their “to do lists”, to move on to the next item and get it done. As a consequence, they will have moved on mentally and not recall the things for which they are being recognized. But, make no mistake, they do appreciate being acknowledged, but we must often look at their secondary or backup personality (Organizer or Entertainer) to determine the most effective way to provide that recognition. Great Leaders take the time to get to know the members of the team that they are privileged to lead. They take the time to determine what is important to each team member and they convey their appreciation in ways that are most valued by each individual. Have you worked with a Great Leader who took time to really find out what was important to you? Click “Comment” and share that experience. – OR – Click “Comment” and share how you like to be recognized for something well done. Presidents’ Day morning. My “In Box” contains a quote from a Great Leader, President Abraham Lincoln, about a person’s character and reputation. Lincoln wrote, “A man’s character is like a tree, and his reputation like its shadow; the shadow is what we think of it; the tree is the real thing”. Reputations are funny things. In some instances, they are based entirely on facts. In other cases, they are based on perceptions held by individuals or groups of individuals. By way of comparison, let’s look at two fictional individuals that we will call Clay and Stone. Clay has a reputation for being a real savvy businessman. He always seems to be in the right place at the right time; a guy who can turn a profit no matter what he does and no matter how adverse the situation may appear to be. It’s as if he has an “inside track” on information that no one else has … because he does. Clay has built his business and his reputation by using inside information to the detriment of those he exploits to his own personal benefit. If Clay were in the securities industry, he would be guilty of insider trading … of using information that is not available to the general public for personal profit … a criminal act. Clay has a reputation for being in the right place at the right time. But, his character is lacking a strong moral compass. In Clay’s mind, what he is doing is wrong only if he gets caught. If history teaches us anything, it teaches us that the sun moves; the shadow shifts; and, ultimately, the deeds done within the shadows of unethical behavior will be exposed and the wrong-doer will be caught. Stone, on the other hand, has character. As a Great Leader, Stone is “the real deal”. When presented with opportunities, he first checks his personal moral compass and asks, “Is it legal; is it ethical; does it treat others as I would wish to be treated?” If the answer to any of these questions is “no”, he abstains and allows the opportunity to pass him by. Great Leaders such as Stone know that if they conduct themselves and their businesses in a manner that never calls into question their character or their morality, the world will beat a path to their doors for the opportunity to associate with them, to work with them, to do business with them. They will be presented with more opportunities than they will be able to handle; opportunities to grow personally, professionally, and financially. Reputations are mere shadows of the person they purport to be; always shifting, intangible, subject to the shifting tides of opportunism and “what’s in it for me?”. Character, when it is grounded with a strong moral compass, is unyielding in the face of temptation. When the character of a Great Leader is consistently asking the three questions above, constantly and routinely reminding itself to do what is right both morally and ethically, it is then that this character stays away from temptation and keeps itself morally straight. Great Leaders present their character in their daily conduct and allow it to speak more loudly than any reputation can. DO GREAT LEADERS SACRIFICE THEMSELVES OR INVEST IN OTHERS? A friend recently posted a quote from an unknown source on his social media page. It stated that a person who cannot give up anything can change nothing. In the comments that followed, he explained his reason for agreeing with the original author stating that even a small act of kindness required courage, risk, and sacrifice. This got me thinking about how Great Leaders view small acts of kindness. They do not, in my opinion, see them as a sacrifice; of time, of resources, of value. Rather, I believe that Great Leaders see these acts as investments in others. Great Leaders take the positive point of view that they do not pay the cost of something; that they somehow have lost value or been diminished for having helped another. Great Leaders recognize that the giver in these situations is also enriched; been made to feel good about their act. Even better, Great Leaders know that they made a difference in the life of another. They do not need to know whether the difference was large or small; just that someone else benefited from their action. When someone complimented you on a job well done, did it make you feel that your effort had been noticed and appreciated? When someone offered you a word of encouragement, did it make you believe in yourself just a little bit more? When someone helped you do something without being asked to help, did it help you believe in the goodness of others just a little more than you did before? While there are many more questions that could be added to the list above, I believe that you can see how you benefited from the act of another. Odds are, you may have, in that moment, crossed paths with a Great Leader or someone who is on the road to becoming a Great Leader. Please keep this in mind the next time you see an opportunity to commit a small act of kindness. It could make a far larger impact on the life of another than you can ever imagine. Leaders who would be Great Leaders know that few become who and what they are alone; with no help. It is only fitting then that we as a people, and especially those among us who are leaders, should pause this week to give thanks for the many blessings we have received; and, for those individuals who have shared the knowledge and experiences that helped shape who we are today. Here are a few of the people and things for which I am thankful this year. The love, encouragement, and support of my family – For me, it all starts here. Without the love and support of my family, I could not do what I do. I am especially thankful for my wife, Lin, who supports and encourages the work I do in the Scouting Community to help shape the character and values of the next generation of leaders. The examples set by my parents – Without a doubt, my mother and father set an example of unconditional love and acceptance; honor and integrity; justice and fairness. I recognize today that they did not “preach” these values but rather provided the example by living them every day of their lives. Friends and associates I call “Talent Scouts” – I have been blessed with a number of friends and business associates who have seen talents in me that I never suspected were there; and, they encouraged me to use those; to let them “come out and play”. Even when I questioned my own ability, they were steadfast and encouraged me to exercise and grow those talents. They are far too numerous to mention each by name; but, you know who you are and I hope you know how much I appreciate the encouragement and support you have provided. The selfless men and women of Scouting – A standard and running joke among Boy Scout Volunteers is that “it’s only an hour a week”. For most of these dedicated leaders, volunteering entails far more than a single hour a week; yet, they continue to give of their time and talents … some for many years after their sons graduate from high school and even college. The country in which I live – I am thankful that I live in the United States of America, a country in which I am free to make my own choices and succeed or fail on my own merit and effort. Ours is a country in which a person’s opportunities are not governed by the class into which they were born; not limited by a government that determines the education that they will be allowed to obtain or what job they will enter. I pray that the people of this nation will not cast aside these freedoms to pursue the mirage of “safety and security” wherein someone else makes these choices for them. Finally – I am thankful that I am free to write what I believe and to give thanks for the blessings I enjoy without fear of reprisal from someone who does not agree with what I believe or how I offer up my thanksgiving. May God Bless the USA and all who reside here. Those who are Great Leaders and those who would choose to become Great Leaders will take time this week to look around them, see how blessed they are, and offer up thanks. For what are you thankful? If you care to share, click “Comment” and tell others what you are thankful for. How Does a Leader Earn Trust? Becoming an Eagle Scout is all about leadership. This is why many of the questions asked at the Eagle Scout Board of Review focus on the quality of leadership. I’m frequently surprised (perhaps by now I shouldn’t be) by the answers that are given when the candidates are asked what traits they look for in a leader. While each candidate answers this question differently, one characteristic that is often cited is, coincidentally, the first point of the Scout Law; the leader must be trustworthy. When asked to define what makes a leader trustworthy, here are the characteristics most often cited. The Leader Has High Values – Values are those core beliefs that a Great Leader cannot and will not violate. He/She has a clear understanding of right and wrong; proper and improper; legal and illegal. The Great Leader does not vacillate in these matters. Decisions are made and actions taken in accordance with these inviolate values. The Leader Behaves Congruently – Congruent behavior simply means that the leader behaves in a way that models the beliefs that he/she lives by. They do not say, “do as I say and not as I do”. Rather, the Great Leader demonstrates acceptable and appropriate behavior at all times. The Leader Cares About the Followers – One young man expressed it by saying that “A leader does not put his people in harm’s way unnecessarily”, an answer that was reflective of his Junior ROTC experiences in school. This can be expanded to reflect the fact that the Great Leader genuinely cares about what happens to his/her followers; wants those individuals to flourish and grow, both professionally and personally. Great Leaders put their followers in a position to succeed, showcasing each team member’s talents and skills, giving credit where credit is due. Great Leaders measure their own success by the successes of the team and the team’s members. By conducting themselves in these ways, Great Leaders earn the trust of their followers, their team members. Have you had the privilege of working with a leader who earned your trust? Click “comment” and share how they earned your trust. In my experience, decision makers are not always Great Leaders; but, Great Leaders are always decision makers. I remember that, as a beginning life insurance agent, I was often frustrated to hear people tell me that they did not want to make a decision about the purchase of a policy … especially without having the opportunity to “think about it”. The experience of my peers and subsequently my own experience had shown that the longer people thought about a decision, the more likely it was that they would make no decision. I came to believe that the decision to make no decision was, in fact, a decision to do nothing. In hindsight, I can see that my belief was only partially correct. For a great many individuals, this assumption was accurate. They chose to avoid a decision in the belief that, so long as they made no decision, their circumstances would always remain the same and that they would have ample time to take action when they chose to do so. Of course, we all know that this is not true; that circumstances are always changing and that those changes can and do remove options that we may have previously had available to us. On the other hand, Great Leaders are very aware of the continuous changes going on around them. This is not to say that they can predict the changes that will occur; or, that they will recognize the change the moment it happens. However, they know that change is inevitable and that indecision only delays the decisions that must be made. They also recognize that the passage of time can alter the options available to them … sometimes offering more options, other times fewer options. So, what do they do? Great Leaders stop and take time to consider the options available to them, including the option to do nothing at this time. They weigh the plusses and minuses of each option and then make a decision based on what they believe to be the best alternative. They make this decision with confidence and then they lead their team in the implementation of the decision that they have made. They take action … massive action. As a wise man once said, “Massive action provides immediate feedback. It tells you that you are on the right course and you should proceed; or, it tells you that you are on the wrong path and that you need to turn back, reconsider your decision, and make the appropriate changes.” Decision makers are not always Great Leaders; but, Great Leaders are always decision makers. How do you make decisions? Click “comment” and share your decision making process. How Does a Great Leader Earn the Undying Loyalty of Others? It is the winter of 1777-78 and the Continental Army has fought one losing battle after another. The seat of the Continental Congress and largest city in the Colonies, Philadelphia, has fallen and is now occupied by the Redcoats. There, the British Army rests while dining bountifully in warm colonial homes. Meanwhile, the Continental Army has made its winter encampment at Valley Forge. There, they face shortages of everything; food, medicine, warm clothing, shoes. The soldiers sleep in cold, drafty, log cabins that they have hastily built. The soldiers witness the departure of many officers who request, and are granted, leave to go home to sleep in their own beds and eat well with their families. They also note that one officer does not leave. Promising to share their every hardship, Washington stays with the army at Valley Forge. Great Leaders lead by example and do not ask those that they have the privilege of leading to do things that they would be unwilling to do themselves. They share the work, the good times, and the bad times. They know and understand what their teams know and have experienced because they, too, have shared the experiences of the team. In the spring of 1778, the Continental Army marched out of Valley Forge led by a Great Leader who had earned their undying loyalty by remaining with them; by sharing their experience, their privations, their hardships. In June of that year, the Continental Army defeated the British at Monmouth Courthouse, the last major engagement in the Northern Theater of the Revolutionary War. Following the battle at Monmouth Courthouse, the British withdrew to New York City and shifted the focus of their campaigns to the Southern colonies. Ultimately, the British would surrender at Yorktown and a new nation, The United States of America, would take its place among the nations of the world … in large part because a Great Leader stood shoulder to shoulder with the troops and led them to victory. If you have had the privilege of following a Great Leader who has earned your undying loyalty, click “Comment” and share your story here.